There are few things that can happen to your home that will spin out of control faster than water damage. Water that gets into your home can get into walls, ceilings, and the interior parts of your home where you don’t know about it until it’s too late can cause a huge range of expensive home problems including toxic mold. Mold can be almost impossible to get rid of and it can put you and your family at risk for breathing problems, allergies, and respiratory infections. Water damage is something that every homeowner needs to be vigilant about preventing. Unfortunately, there are a lot of things in the home and around the home that can cause water damage. So you need to be always thinking about ways that you can prevent water from leaking into your home and you need to take steps quickly to get rid of any water that does get in. Here are some expert tips that will help you keep water out of your home. When was the last time that you cleaned your gutters or had your gutters cleaned? If it’s been a while, then you need to get them professionally cleaned. If your gutters don’t get cleaned regularly the leaves, dirt, water, and other debris that gets trapped in them will cause them to clog. When your gutters are clogged, the water that’s collected in the gutters from rain or snow has to go somewhere so it’ll end up going right into your house. When gutters are clogged, the joints can crack and break which can cause water to leak into the walls of the home through window frames or cracks in the siding or masonry walls. Backed up water from clogged gutters also can seep into your basement which can lead to cracks in your foundation. A cracked foundation doesn’t happen overnight, but it can be extremely expensive to fix. Water can also back up into the basement and cause flooding which can cause mold inside the house. Gutters aren’t fun to clean, but it’s essential to keep them clean. 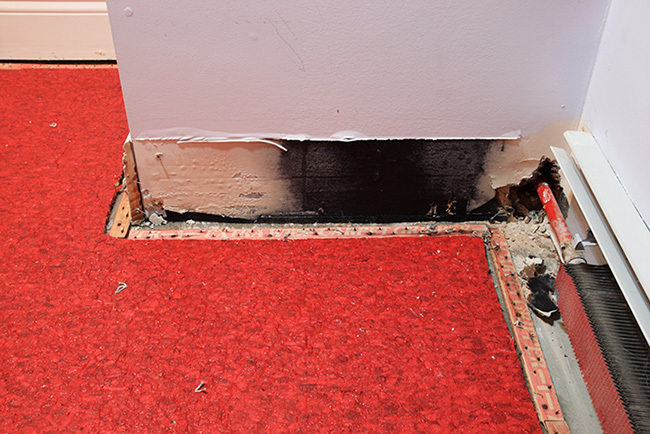 They’re one of the biggest protections your home has against water damage. If you don’t want to clean the gutters yourself, then you should call professionals to clean the gutters at least once a year. Getting the gutters cleaned out before the fall season and the winter season will ensure that your home’s gutters are working properly. Your roof is another spot where water can enter the home and cause major problems, particularly mold. That’s because algae and bacteria that gets blown off trees and plants can end up on the roof, sitting in water. Bacteria and mold can grow once that water is heated up in the sun. So when that bacteria-laden water leaks into your home through a crack in the roof, a loose window joint, or some other type of opening in your home can quickly become infested with toxic mold. Toxic mold requires professional remediation to get rid of and something the entire house needs to be stripped in order to make sure the mold is eradicated. You don’t want to run the risk of getting mold in your home. The best way to prevent this kind of water damage is to take good care of your roof. Get your roof power washed with algaecide once a year to kill off any mold or algae that’s hanging out on your roof. Check the shingles, paper and roofing materials to make sure that your home is protected and there are no cracks or openings which might let in water. Interior plumbing is another of the major sources of water damage in a home. It doesn’t take much for interior plumbing to start leaking water into the home. A small leak in an interior pipe that’s buried in the wall can be enough to cause water damage even if you don’t notice it until it’s too late. A clogged shower drain or toilet, a malfunctioning garbage disposal or a washing machine that isn’t hooked up right can all cause major water damage in a home. Homes with old pipes could be leaking water from corroded pipes and not even know it. To prevent this kind of water damage you should have your interior plumbing system checked often or at least twice a year. Plumbers will inspect all your pipes looking for cracks and leaks, even the ones that you can’t see. They also will clean your drains and make sure that there are no problems which could cause flooding or water damage in your home. You should also be on the lookout for signs of water damage. The most noticeable signs of water damage include peeling paint and visible staining on walls or ceilings. Small cracks in the paint, damp spots on the walls, puddles of water with no visible cause and other small signs of water inside your home can alert you early. If you start seeing any signs like that around your home then you should call a plumber right away. Keeping up the outside of your home will also help protect it from water seepage and damage. Make sure that you get the seals on your windows checked at least once a year and get your windows replaced or fixed if they are loose, have cracked sashes, or have chips and cracks in the glass. Replace any cracked siding and if your home has masonry walls make sure the joints are all strong and are not allowing water to seep in. A house wrap can help protect your home from water damage by protecting the integral interior structure of the home so that water can’t get in, even if there is a crack in the siding or another problem. If you notice any of those things in your basement the best thing to do is call a professional to come and look at the basement. 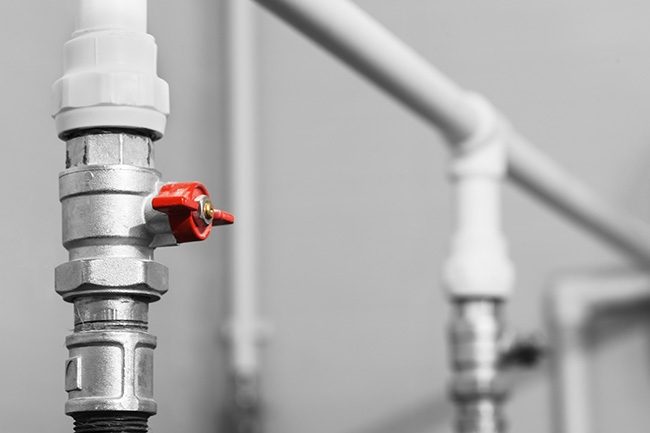 If there is a leak you need to find out where the leak is and get it fixed before more water leaks into the home and puts your possessions as well as your health and your family’s health at risk.